We are proud to present one of the finest homes in the Grande Dunes community, listed by Greg Harrelson of Century 21 The Harrelson Group. 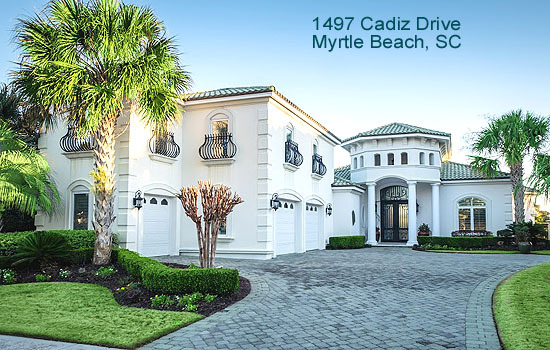 Grande Dunes is renowned as one of the most elegant communities in Myrtle Beach, but even by Grande Dunes standards this home in the gated Cadiz neighborhood is a cut above the rest. 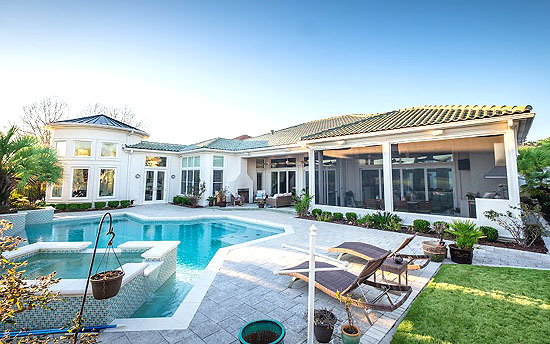 With sumptuous views of the lake and golf course, this Mediterranean-style home is everything you could possibly want. Custom built in 2006 with steel beams, it is approximately 6300 square feet of opulence - featuring 4 bedrooms, 3.5 baths, and a 2-car garage, plus golf-cart garage. 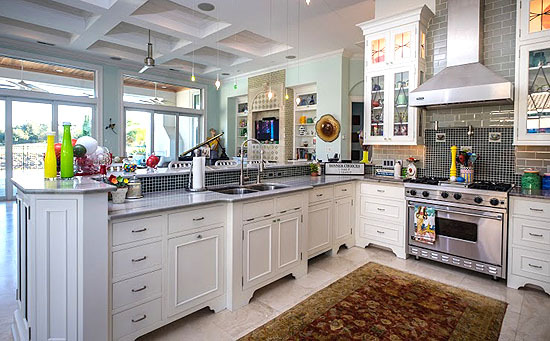 The gourmet kitchen is the ideal place to prepare the perfect feast. Quartz/granite countertops, Viking range with pot filler, Sub-zero refrigerator, Bosch dishwasher, custom cabinetry with glass fronts, and accent lighting makes time spent in the kitchen a delight. The incredible master suite wraps you in luxury, featuring a den with wet bar/fireplace, enormous custom closets and a spa bathroom offering a whirlpool tub, oversized walk-in tile shower, a glass vanity, and custom cabinetry. The outdoor entertainment area is beyond luxury, featuring verdant landscaping, an outdoor kitchen, and screened-in porch with tile flooring. 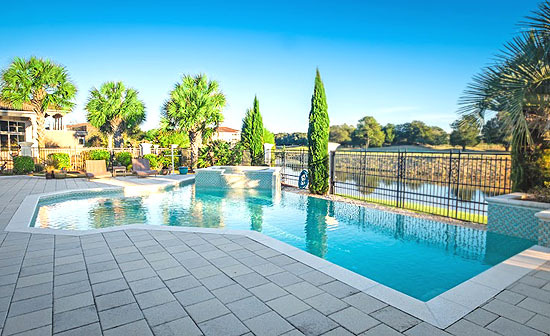 The outdoor fireplace and glass-tile-saltwater self-cleaning pool provide an inviting atmosphere for gathering with friends. 3 indoor fireplaces, trey ceilings, security system, wrought iron fencing, plantation window shutters, and other upgrades make this elegant home even more luxurious. Outstanding community amenities include golf privileges, and the Grande Dunes Ocean Club pools, dining, and private beach access. Tennis, fitness centers, boat slip opportunities, and much more are optional. 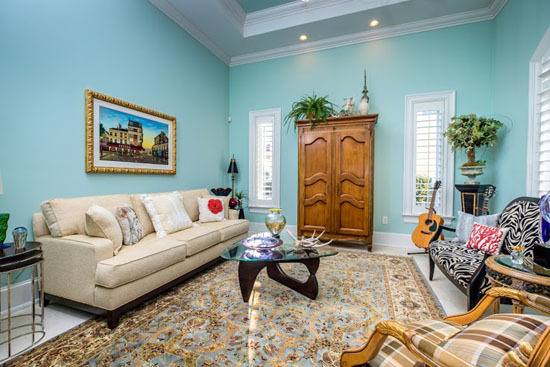 Priced at $1,099,800, this elegant luxury home won't last long. Call Greg Harrelson at (843) 457-7816 soon if you are interested! 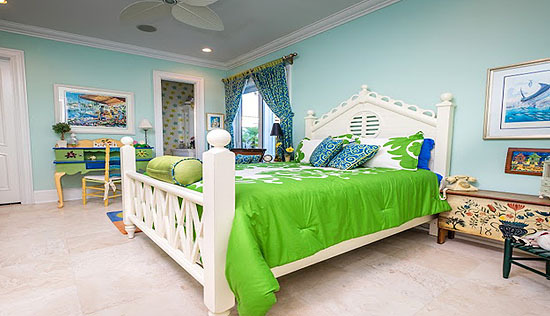 For more information on the Cadiz community, visit us on our page for Cadiz in Grande Dunes.